".... in the hallowed halls of Valhalla- Where the brave shall live forever!" Designs by Lisa, stitched on 28 ct natural linen with DMC. 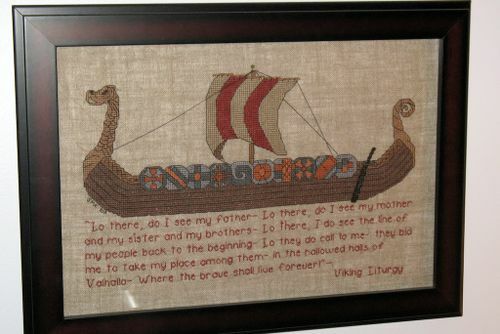 I stitched this as a wedding present for my husband in 2005 and it was a relatively quick stitch.